If your dog has a medical condition, we ask you to please include this in their online profile so we can best advise you on their fresh NomNomNow diet. We can serve dogs with varying degrees of most conditions, but want to first and foremost confirm that our meals will be ideal for your dog's needs, and may need to suggest a specific recipe. 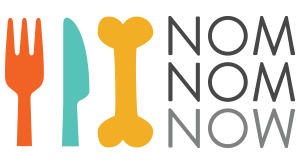 Please contact us at care@nomnomnow.com, or 415-991-0669 if you need to discuss your dog's medical condition prior to placing your NomNomNow order. At the moment, we cannot serve dogs with pancreatitis, though we can serve dogs with varying degrees of many other conditions. If your dog has pancreatitis and you are interested in a fresh meal plan for your pup, please contact us to be added to our waitlist. Dr. Shmalberg is currently working on formulating a recipe that would be suitable for pancreatitis, and we will reach out as soon as it is available!